Those of you who've been reading my posts since Season One might remember that in the early years of the show, I often found myself writing my episode recaps while on a flight -- or while camped out on the floor outside of a gate at O'Hare or LaGuardia (ah, soft pretzel/smoothie stand, you were so good to me...). Yes, in my days of working for The Man, I traveled often. I'm very thankful for all of that time spent on the road, however, because it earned me enough frequent flyer miles to be able to make a quick trip out to Oahu for the LOST premiere this coming weekend. As you may know, "Sunset on the Beach" was held on the Waikiki waterfront for the Season One, Two and Three premieres, and it will be back again January 30, three days before the show returns on ABC. After my trip to the Island in October 2008, I honestly never thought I would return while the show was still on the air -- much less for such a cool event. 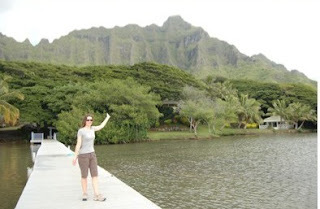 The main reason I decided to go is because -- as crazy as this may seem -- I prefer Hawaii's 80-degree, sunny weather to Chicago's 30-degree, crappy weather. 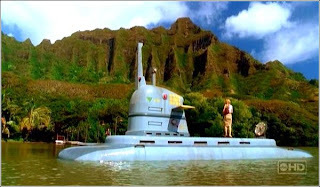 No, honestly, I'm making the trek in order to finally meet fellow LOST bloggers and fans of the show who I feel like I've gotten to know online over the past few years. "Please join me, along with special guest Erika ('e') from Long Live Locke, on Friday (1/29) from 8pm-10pm; I have reserved the Upper Ewa patio of RumFire at the Sheraton Waikiki. You're on your own for food and beverage, but they have created a special $5 LOST cocktail just for us! Be among the first 100 people to arrive and participate in a trivia contest for a chance to win a commemorative LOST tote bag! And, of course, everyone who attends will receive a custom LOST Fan pin. There is an official invite on Facebook, and you may also RSVP via email [jo at jopinionated dot com]. 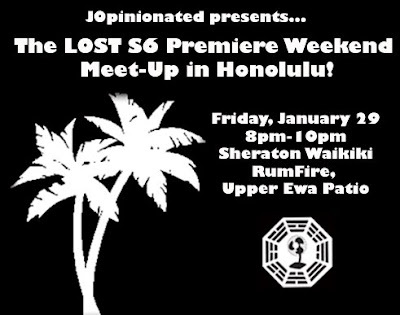 Feel free to pass this on to fellow LOST fans who will also be on the island for the big event. For those of you who are unable to join us, you can follow the weekend festivities through our Twitter feeds (@jopinionated and @ErikaOlson). I will post details soon about how YOU can win one of the custom tote bags too!" OK, now it's me again. Don't you love how I'm the "special guest"? Hee, hee. *I* love it. For anyone who's able to make it, I am 99% sure I'll be in a black and white Locke Lives shirt, so that's how you'll know which nerd is me. Since my intention is to do nothing but max and relax in Oahu -- as in, I'm NOT planning to brave the crowd of 15,000+ people just to be able to snap a few blurry pictures of any of the cast on the red carpet -- I'm not sure whether I'll be posting about my experience here on Long Live Locke or not. And I certainly have no intention of mentioning anything about the premiere itself, so rest assured you'll read no spoilers from me. But, as Jo mentioned above, I will be sending out a few updates about the premiere activities via Twitter, and you don't have to have a Twitter account in order to read them. Just go to twitter.com/ErikaOlson and since my feed is public you'll be able to follow along. Posted by Erika (aka "e") at 10:07 AM 17 comment(s) from my peeps! Yet another incredible display of creativity from LOST fans with this contest! If you have a few minutes, definitely scroll through the 155 award categories submitted here. I guarantee you will be entertained. Thanks to everyone who took the time to enter. And now, the twelve winners, who were picked at random. 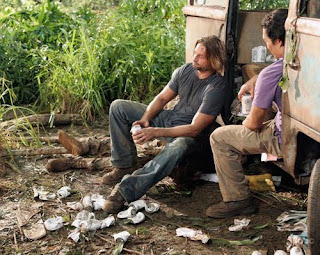 Fiona - Aaand the award for Best T-Shirt worn throughout the whole series of LOST goes tooooo.... HURLEY! ...for the "I ♥ My Shih Tzu" Tee. Lisa - Most Wishy-Washy: Kate. WINNERS: I need you to contact me either through Facebook (if we're connected) or this blog. I must have your email address as well as your mailing address. I will not publish any comments with your personal information that you send in through the blog. I must get your information by Tuesday, January 26 -- otherwise your shirt's going with me to Hawaii to be given away at the premiere. To everyone else, I intend to have two very short posts up between now and the premiere on February 2 that are not contest-related -- woo hoo! Posted by Erika (aka "e") at 9:57 AM 7 comment(s) from my peeps! I'll admit it: I'm sick of running contests. And I'm sure many of you out there are sick of reading about them. So this will be the last one until the end of February, OK? 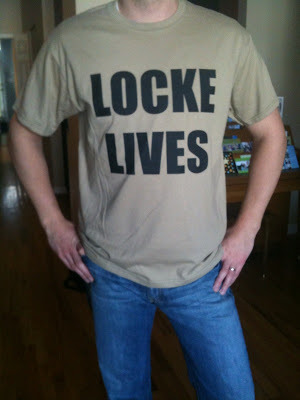 I'm just trying to ensure that any overseas winners receive their goods before the premiere, and that's why I'm back with one more chance to win a LOCKE LIVES t-shirt now that the Twitter contest has wrapped up. The Globes inspired me to hold a little awards ceremony of my own for this next contest. 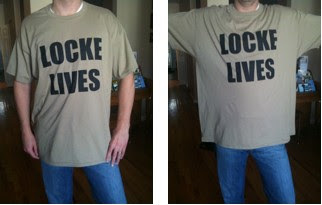 If you want the chance to don a LOCKE LIVES shirt, then make up an award category and tell me which character would be announced as the big winner. For example: "Loudest: Michael," or "Best Accent: Desmond," or "Most Secrets: Ben." Entries can be funny or serious -- I'll still be picking the winners at random, so all that matters is that you give it a shot. You must also enter in your size: Medium, Large and XL are all I have left. See the post below this one for information on sizes. 1) One entry per person. 2) Open to anyone in any country that I can mail to from the U.S.
3) I won't publish anything spoilery or vulgar. 4) Only comments entered into this blog will be considered -- no tweets, Facebook messages or emails. 5) Give me a made-up awards category and the character who would win. 5) If you don't enter in your size you will not be considered. Medium, Large or XL only. See the post below this one for information on sizes. You have until Wednesday at 8:30 AM Central Time to enter. Posted by Erika (aka "e") at 5:12 PM 156 comment(s) from my peeps! Time for the second contest DarkUFO and I are collaborating on this month: we've got ten LOCKE LIVES t-shirts up for grabs. While I personally believe that we'll see Real Locke alive and well again before the series ends, I chose the saying for this t-shirt more as a play off of my blog's title, and as an homage to the Frodo Lives! slogan from back in the day (if you don't know what that's about, you should really click the link, it's pretty hilarious). It's obvious what's on the front of the tee -- what's on the back is my Long Live Locke URL. 1) Follow both @erikaolson and @DarkUFO on Twitter. (You must have a Twitter account in order to follow someone.) Andy (who runs DarkUFO) has several spoilerphobes following him -- including myself -- and therefore you can rest assured that he does not tweet any spoilers. He will write something like "SPOILER -- Episode 6.11 Centricity" and then include a link if you want to know more, but that's it. You must be following both of us in order to be eligible to win. 3) That's it. Anyone can enter from anywhere, as long as we can mail to you from the U.S. We will only accept one entry per Twitter ID. Andy will randomly select TEN winners on January 14 and we'll announce them shortly thereafter. So here's the deal on these shirts -- they run big. They are a 50/50 cotton/poly blend and so they won't shrink too much. I didn't realize this when I ordered them, and therefore I'm already out of Smalls. I am 5-foot-8, 130 pounds and a Small fits me perfectly, so I'm sorry to all the other similarly sized ladies out there -- I got nuthin' for ya. A Medium might still work, especially if you're somewhere cold and can put a long sleeve tee under it. My husband is 6-foot-1, 175 pounds and likes how the Medium fits him best -- but the Large looks OK, too. And here are two pics of what an XXL looks like on him, still with another t-shirt on underneath. Yes, he must really love me to put up with posing for those pics, huh? Hope they helped! At some point after we close this Twitter contest I will run a blog-based contest in order to give away a few more shirts to Long Live Locke readers, so if you are not on Twitter, just hang tight. If you are on Twitter, then good luck! Posted by Erika (aka "e") at 8:10 AM 5 comment(s) from my peeps! As always, I had such fun reading through everyone's comments. 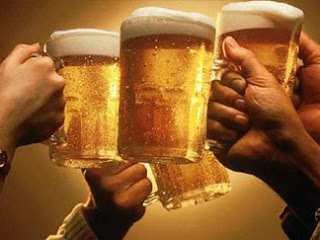 I highly recommend you take a look through all of LOST toasts, too. They can be found here. Congrats to all of the winners... you can leave me a comment below with your email address and mailing address (I won't publish them), or if you're connected to me on Facebook you can send me a message there or DM me through Twitter. Everyone else, sit tight -- more chances to win other LOST goodies soon! Posted by Erika (aka "e") at 11:39 AM 3 comment(s) from my peeps! UPDATE: 1/12/10 10:06 AM CT. THIS CONTEST IS NOW CLOSED. OK, this is gonna be quick because there's not much to say except that I only have a handful of Dharma Beer koozies left, and I want them off my hands. The Twitter contest for them is over and another Twitter-based contest (for a different prize) will start in a few days, so I'm giving Long Live Locke readers one last chance to be the proud owner of a can holder that will transform any drink into a Dharma Beer. These are fun little party favors that my husband designed and, since I've been asked this a lot, no, I have no intention of selling them. I'm almost out and I want them to find a happy home with some deserving LOST fans. To win one, all you have to do is give me a short toast for the final season of LOST. And do it quickly -- by 10 AM Central Time tomorrow (Tuesday, January 12), to be exact. 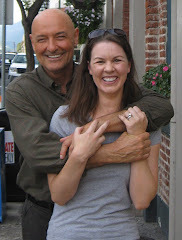 One entry per person, and anyone from any country can enter, as long as I'm allowed to mail to you from the U.S. ONLY entries here on Long Live Locke will be counted -- no tweets, Facebook messages or replies to the emailed posts, please. In addition, if you include spoilers I will not publish your entry. I'll still draw winners (eight of them) randomly, but you must submit a toast in order to be considered. It could be something as simple as "Here's to the end of the love triangle!" 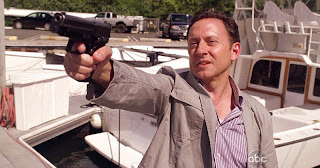 or more involved, like "Final Season of LOST: May your answers be many, and your Nikki and Paulo scenes be few, if any." Good luck and have fun! I will post the eight winners tomorrow afternoon or evening. Posted by Erika (aka "e") at 12:53 PM 151 comment(s) from my peeps! As many of you know, back in Season Four, my Long Live Locke posts began to be republished on DarkUFO, one of the biggest (if not the biggest) LOST fan sites. (I was going to add "on the web" -- but is there really any other kind of fan site than one that's online? I think not.) In order to get our readers even more excited about the so-close-we-can-almost-taste-the-imaginary-peanut-butter Season Six premiere, we're joining forces to host a Twitter-based contest. 3) Um, that's it. Anyone can enter from anywhere, as long as we can mail to you from the U.S. We will only accept one entry per Twitter ID. 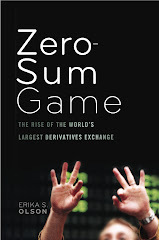 Andy will randomly select TEN winners on 1/9/10 and we'll announce them shortly thereafter. The Dharma Beer can koozies were created by my husband as little party favors for this past fall's Zap2Locke Con, as well as for any LOST shindigs we host in the coming season (meaning, they're not available for purchase anywhere). 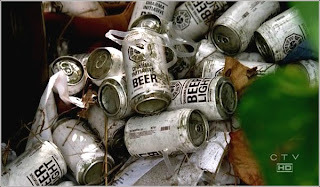 They are collapsible white foam can holders that make any canned or bottled beverage look like a Dharma Beer. They even fit around some plastic and glass cups. You will be the envy of all your other Lostie friends (and Sawyer) if you have one, trust me. At some point after we close this Twitter contest I will run a blog-based contest in order to give away ten more koozies to Long Live Locke readers, so if you are not on Twitter, just hang tight. Posted by Erika (aka "e") at 8:16 AM 11 comment(s) from my peeps! LESLIE'S A BITCHIN NAME, who so astutely observed: "I've noticed the two fastest and easiest ways to get off the Island are: 1) The Submarine, and 2) getting a DUI." SHELER412, who kept it real with: "I've noticed that on LOST night I act like my mother did in the '80s when it was FAME night." STACEY, who declared: "I've noticed that life for the survivors (and the viewers) would be a lot less frustrating if they would just talk about things when they happen." Ain't that the truth! Congrats to our winners... leave me a comment with your email address and your mailing address (I won't publish them, of course) and then I'll email you and we can go from there. 1) Remember that you can buy "Things You Never Noticed About LOST" on Vozzek's site and he'll sign it with whatever inscription you'd like. Or if Amazon's your thing, you can buy it from that site here (but no autograph option is available). I'm about halfway through it and I can't believe how many theories Vozzek discusses that I haven't really considered before. And I call myself a LOST blogger! For shame. Also, my husband, who is nowhere near the LOST nerd I am, has been reading it and enjoying it as well -- I mention this in case anyone is wondering if it might be over the head of a "normal person." No, it's not. If you've watched the past five seasons of LOST, this book is for you, no matter your level of fandom. 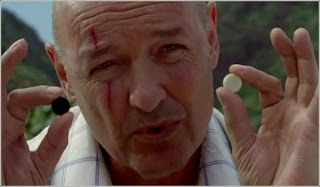 2) Check back soon, because within the next few days I will post the first of two official January contests here on Long Live Locke... and I'm going to close them within 24 to 48 hours after they launch in order to ensure everyone gets their prizes before the February 2 premiere. The Twitter-based contest will launch shortly, too. Posted by Erika (aka "e") at 8:40 PM 7 comment(s) from my peeps!